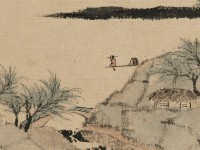 From the 1670s onwards Zha Shibiao lived in Yangzhou. His family owned collections of paintings and bronzes, and he himself was a connoisseur. 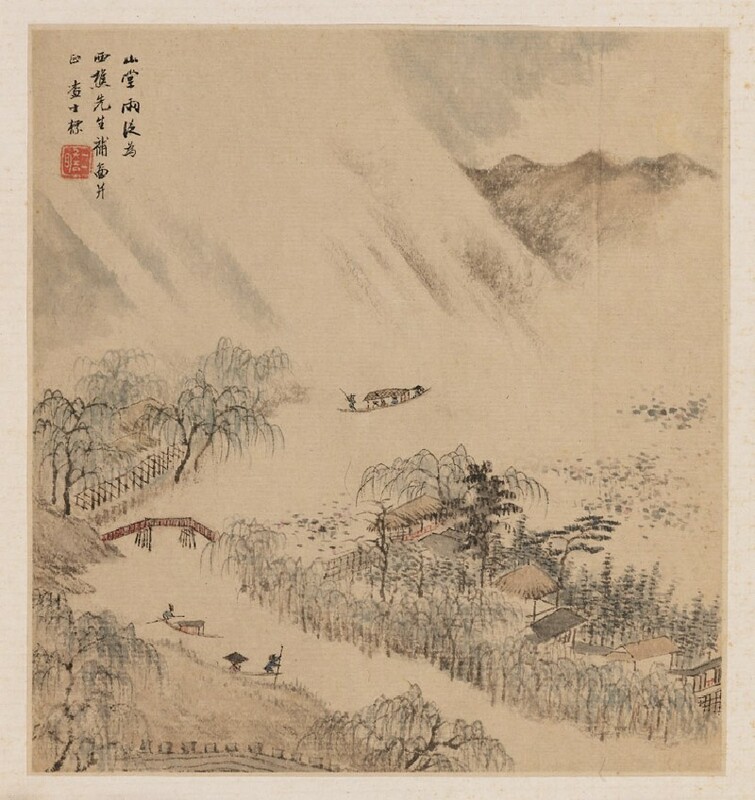 In painting he followed his contemporary Hong Ren (1610-1664) and the Yuan master Ni Zan (1301-1374). 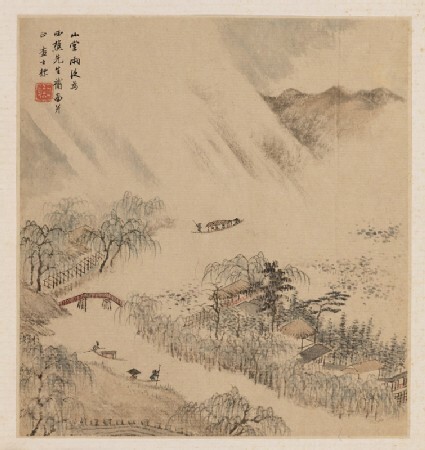 On this painting is inscribed: ‘The pond in the mountain floods after a shower’.